Where there is uncertainty, there will be creativity and progress. Where you seek certainty, you will be held hostage by fear, anxiety, stress and suffering. Not knowing what comes next is what makes Life a wonderful adventure sport. Just like you wouldn’t want to spoil the fun by knowing the plot of a movie in advance from friends or by reading a review, don’t try to pre-suppose or find out what Life will deal you next. 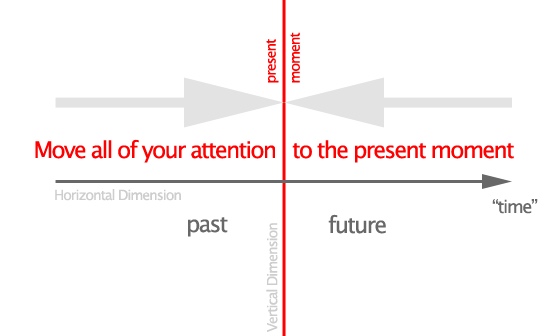 Just dive into each moment, each day, with total readiness to meet__head-on__whatever comes next. Where there is acceptance of uncertainty, there will be a paradoxical sense of security and peace within. So, the best attitude to take into each moment of Life is innocence, a child-like view of seeing the Universe with amazement, surprise and being accepting of whatever happens. Allow the uncertain future, which will nonetheless unfold, to take you into its embrace and to soak your soul in adventure. Enjoy uncertainty. Welcome whatever happens gleefully. Move from the mind__so stop rationalizing and analyzing each development__into the moment__simply living each one fully, blissfully! No job or activity is dull or boring. Something becomes boring only when your attention wavers. This is what I have learned from my guru, Eknath Easwaran (1910~1999). He has taught “Passage Meditation” as a way to reign in the mind, so that it attends to whatever you are doing and experiencing in the present moment. I have understood, from my own experience, that this is possible. The key is to immerse yourself in whatever you are involved in. It may not always be what you love doing. But if you have to do something, do it with full awareness – lose yourself in the process. When you are lost in whatever you are doing – you are living fully, you are then (in) bliss! A very accomplished musician once accepted a King’s invitation to perform in the royal court. The King had been inviting the musician for years. But the singer was always elusive and reclusive. Finally he agreed. But he laid down a condition – nobody should nod their head or sway or even move when he sang. The King was a maverick himself. He immediately announced that if anyone violated the singer’s condition, he or she would be beheaded. The people of the land, who were eager to listen to this singer, for it was indeed a-once-in-a-lifetime-opportunity, were taken aback. Many of them felt that the condition stipulated was draconian and could not be fulfilled at all. How can you not nod or move when you hear great music? So, they backed out of attending the concert. Several people, however, still showed up on the morning of the performance. The King had stationed soldiers, who had their swords drawn, all around the royal court. The singer arrived. And he sang. It was magical – he sang with such purity, such class. Everyone in the audience froze. It was not hard to say if they remained unmoved because the singer held them in his spell or if they were that way fearing his condition and their King’s absurd order! Soon, as time went by and the concert became even more blissful, a few heads swayed, then some more and then some others even moved their hands and blew flying kisses to the singer. The soldiers made a note of every person who violated the King’s order. As soon as the concert ended, they rounded these people up separately and looked to the King for his order to behead them – then and there. The musician however told the King to let these people go. 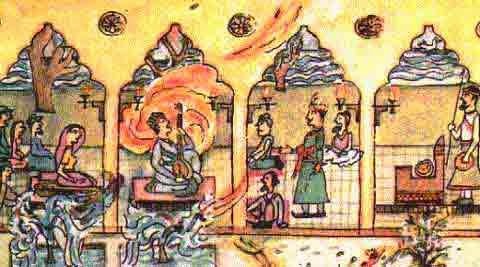 The musician told the King that in future, whenever he visited, he would sing only to this select audience. The import of this story is that when you are totally immersed in the moment, even Life becomes insignificant and inconsequential. When you are engaged this way, worry, grief, guilt, anger, fear – nothing can touch you. 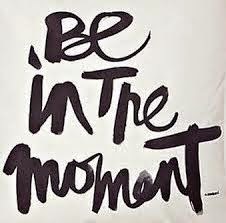 Because, in that moment, you are (in) bliss!